I collected one interesting pine last may and ever since I wondered what shape it is gonna end up with. It would be easy to cut most of the branches, use the lower ones that could be bent easily and make use of a relatively thick trunk by making the tree much shorter. And create quite ordinary pine bonsai. But even though that woudn´t be too bad and I would probably like it like that too, I prefer to get the most of every tree and use all of it´s potential and offered branches. That´s why I started to browse the net and after quite some time I came along this beauty by the scottish loch. The dividing trunk separates from the main lower one in very similiar fashion, and although it is gonna take a long time to bring the foliage down where I need it, I think it is gonna be well worth the time and effort - cause there are not many bonsais that actually mimics large scot´s pines in the wild. 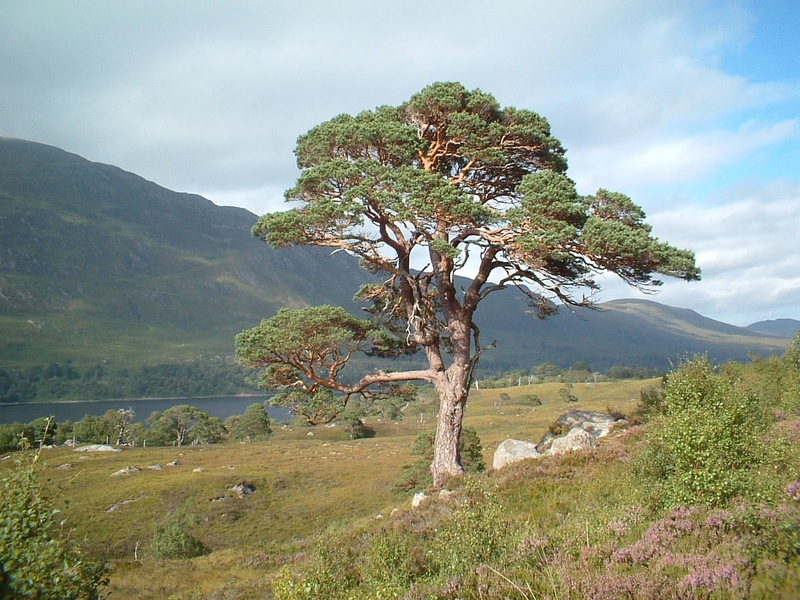 And as I was living in Scotland for 6 moths some time ago, and love the country, I will make me a piece of Scotland at home with a large penjing imitating large pine by the loch. First cuts will be done soon as the tree is growing strong and the roots are growing from the bottom of the crate into the ground as I found out today. Mimo, krásna predloha, držím palce pri realizácii.